This Friday, 20th Century Fox is turning back the clock and inviting Marvel Comics fans to visit their X-Men universe in the 1980s as part of Bryan Singer’s latest mutant ensemble, X-Men: Apocalypse. All this week, we’ll be bringing you interviews with the film’s cast and crew, continuing today in a conversation with the X-Men director himself. Check it out in the player below! Sitting down with the X-Men director, we’re chatting about the X-Universe as a whole and exactly what he means when he calls this film a “conclusion.” We also talk about two of the recurring references in the X-Men films: T.H. White’s “The Once and Future King” and Star Trek. As it did in Days of Future Past, the original Trek plays a minor role in Apocalypse and Bryan Singer even reveals an X2 connection to Star Trek that hasn’t been confirmed until now! X-Men: Apocalypse stars James McAvoy as Charles Xaver, Jennifer Lawrence as Mystique, Nicholas Hoult as Beast, Rose Byrne as Moira MacTaggert, Michael Fassbender as Magneto, Lucas Till as Havok, Evan Peters as Quicksilver and newcomers Sophie Turner as Jean Grey, Alexandra Shipp as Storm, Ben Hardy as Angel, Tye Sheridan as Cyclops, Olivia Munn as Psylocke and Lana Condor as Jubilee. Oscar Isaac is starring as the film’s title antagonist. 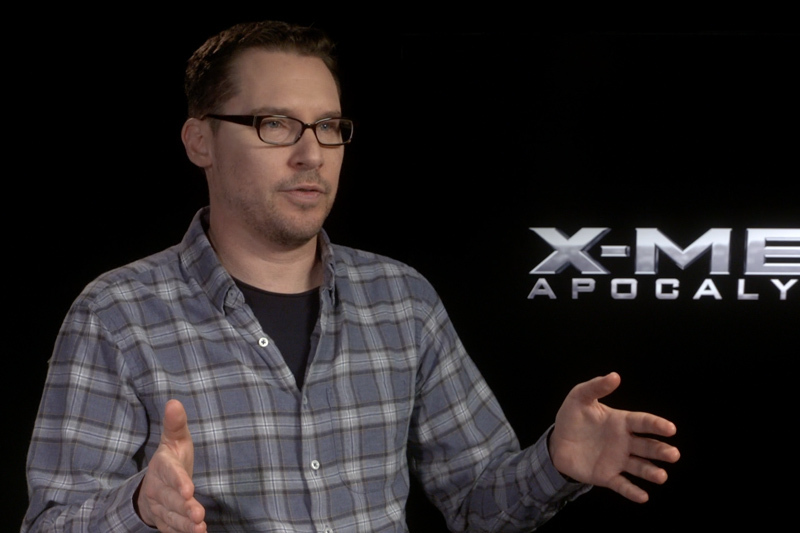 Catch X-Men director Bryan Singer’s fourth big screen when X-Men: Apocalypse makes its debut this Memorial Day weekend!